Oh heyyyy my old friend! KBShimmer is one of my favorite indie brands and I get so excited when they put out a new collection. The Winter/Holiday Collection is here with 18 new colors, cute charms, a fancy holographic bag and a file. I was given the opportunity to show off two colors from the KBShimmer collection. I have actually rocked both of these color for a couple days. I want to do some art with them in a couple weeks, too. Stay tuned to see what I come up with! First up is Get To The Poinsettia. 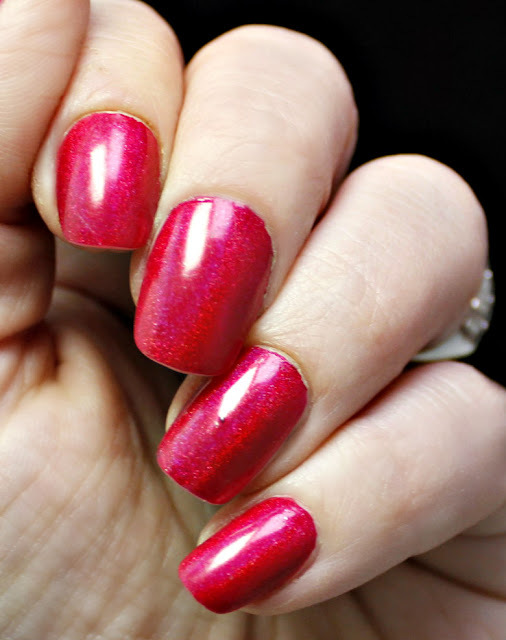 When I first saw this color in the bottle, I thought it was the perfect Holiday red holo. While I do see red, I also see a cranberry pull. It does pull a little more blue than pure red. Don't get me wrong, I still love it, but just beware if you are looking for that bright, santa red. I don't have anything nearly resembling red in a holo, so I am pumped to put this to use. It is going to be perfect for any holiday parties I may be attending. This full sized bottle is $9.25. 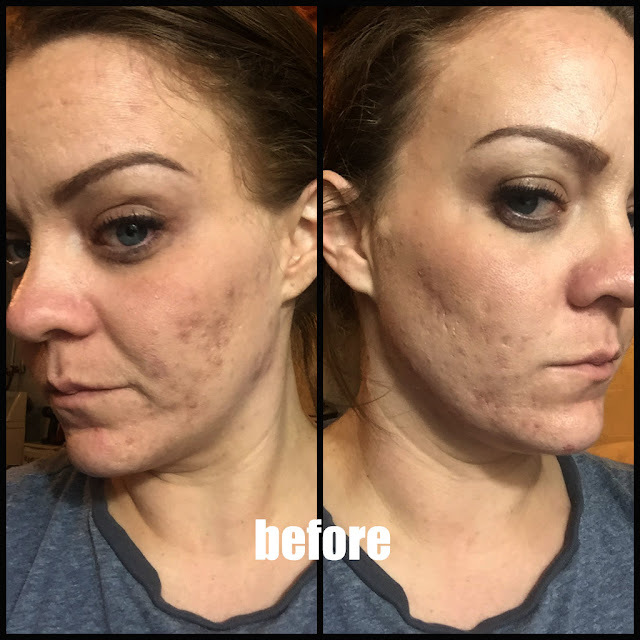 It applies flawlessly and dries evenly. To scoop this up for your holiday collection, check here. 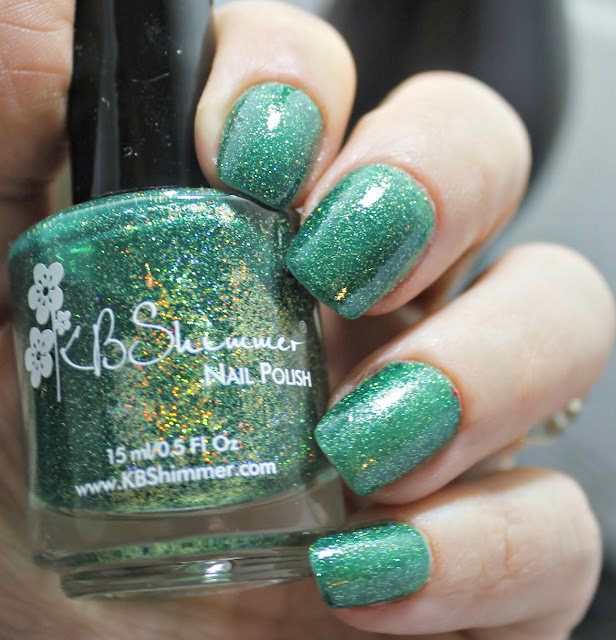 The final color that I was given is one of the 3 greens in the Winter/Holiday KBShimmer collection. The Holy Kale is pretty much the perfect fraiser fir color. At least that's the first thought I had. Christmas tree on my nails! 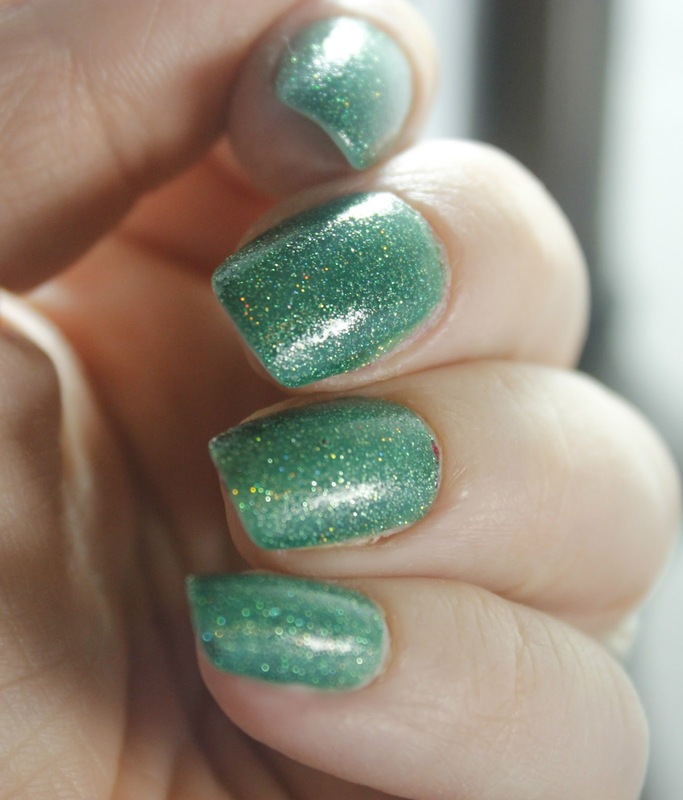 Anyway, this green holo is scattered with micro glass flakies in addition to the perfect linear holo. It actually makes it leans more towards a glitter, but I kind of like the additional glitz. The Holy Kale can be purchased for $9.25 here. I also love the name of this polish. I mean, who doesn't love kale?? Well maybe a lot of people don't like kale, but I happen to love it. It's a superfood and this polish is a super holiday polish! 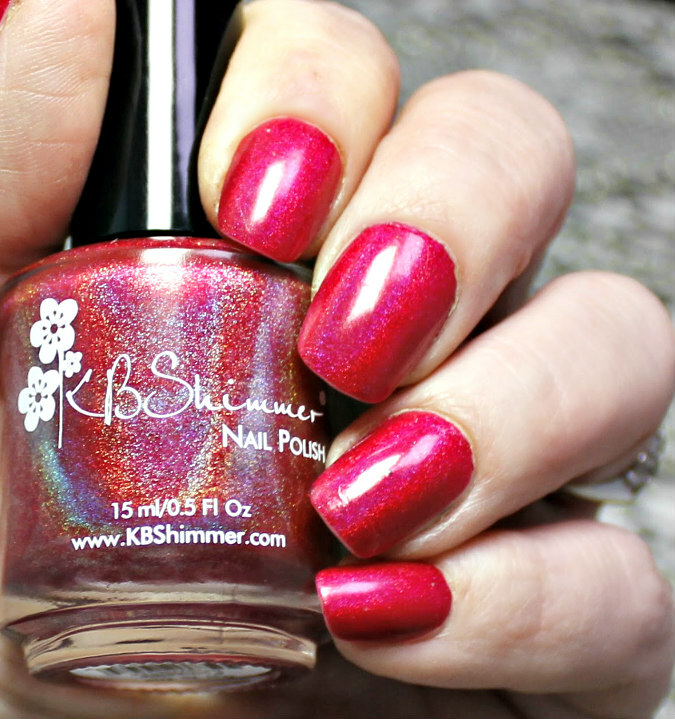 If you like what you see here, you can check out swatches, prices and more about the Winter/Holiday collection from KBShimmer here.